I hopped over to Paris on a quick overnight visit to meet up with a friend I haven't seen in years. Since we both live on opposite ends of the world, a get together is a near impossible feat to organize. It was a delightful reunion which we crammed in a spot of shopping, feasting and catching up. I've read about Aux Fils des Saisons on Chocolate & Zucchini and after hearing more about it from my sister, I was determined to make my way there. I was relieved when S offered to book the restaurant for me. I've practised my Berlitz Learn French in One Day on a few hapless locals and was told very diplomatically that they can converse extremely well in English, thank you very much. Oops. We found out that the restaurant has been under new management for approximately a month. The new owner whose name I've completely forgotten could not be more friendly and patient with this group of tourists who barely managed to piece a sentence in French. For starters, I had foie gras. It was creamy and oh so tasty. I scarfed down the whole lot and would have asked for seconds if I didn't have the main dish coming. 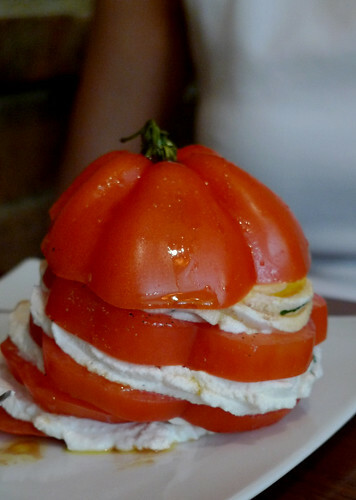 S had tomatoes layered with soft cheese. I couldn't believe the size of my meal when the mains arrived. 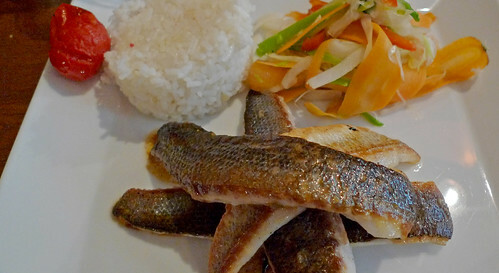 However, the sea bass was fresh fresh FRESH. It was delicately flavored with buttered rice. The owner told me that he goes to the market early in the morning and buys 3-4 kgs of fish each day, most of which were caught the night before or on the same day. Although it would've kept his overhead a little lower if he freezes the fish but he is determined to use only fresh seasonal ingredients. 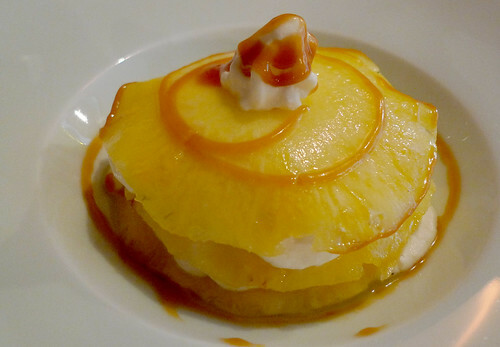 My dessert was pineapple with cream and nougat. Delicious but I was seriously stuffed beyond words. 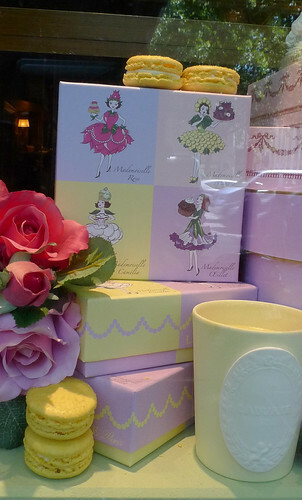 I can't resist taking photos of the window display at Laduree at their Madeleine tearoom. I didn't stop to have a quick bite as I was hurrying to complete my errands. Longchamp les Pliages for mommy dearest and Repetto flats for me. Check. Since I'm such a foodie, I just HAVE to step into Fauchon. 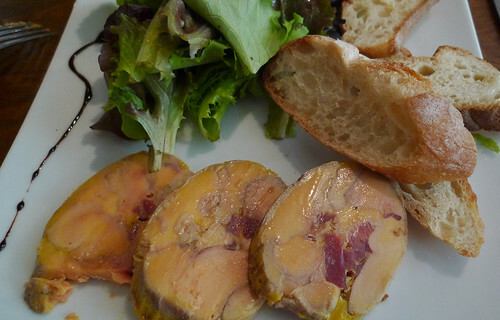 I bought a jar of goose foie gras and pork terrine. The first was scrumptious and the second, bleh. It smelt and tasted like dog food (yes, I've tried my old dog's canned food). On the other hand, their dessert are like work of art. oh u went to fauchon. i passed by but really didn't have the time. 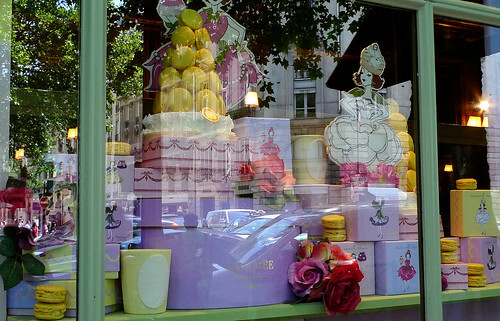 it's about the size of fortnum & mason n it's the best fine food store in paris i hear? I was impressed with the foie gras and huge selection of tea. The madeleine was dry. I wished I had the time to try their dessert too. I've yet to go to Fortnum & Mason though. The new owner is just as passionate about food. Teeny tiny place but the food and service were seriously exceptional. It looks delicious!!!!! 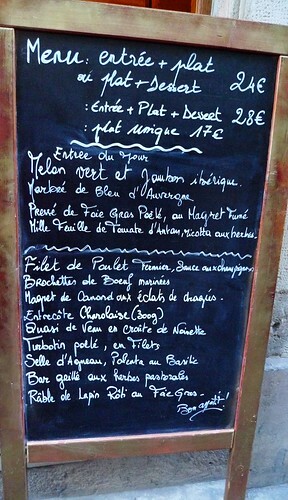 I used to have a favorite restaurant in Paris with food (and price level) similar to this one but unfortunately it closed down. Next time I visit Paris I'll for sure remember to visit this restaurant! Thanks for the recommendation! You won't regret it, Linda :) The owner is a sweetheart. What a fantastic trip! 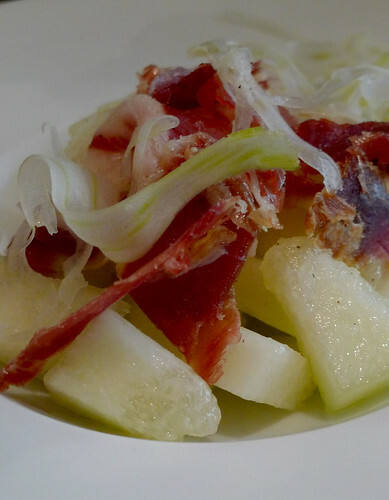 I am mouth watering...;-) gorgeous foods and pictures as well! Ah, the food. Don't get me started on it. 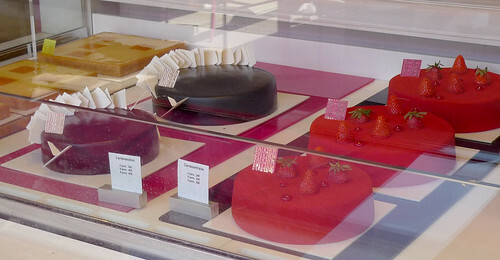 I'll have to go back to Pierre Herme next time.